Chanel. Dior. Givenchy. Gaultier. Today French fashion designers are renowned and loved the world over. But the first to be celebrated, and to bring haute couture to the forefront of popular culture was a poor but ambitious young woman, Rose Bertin. 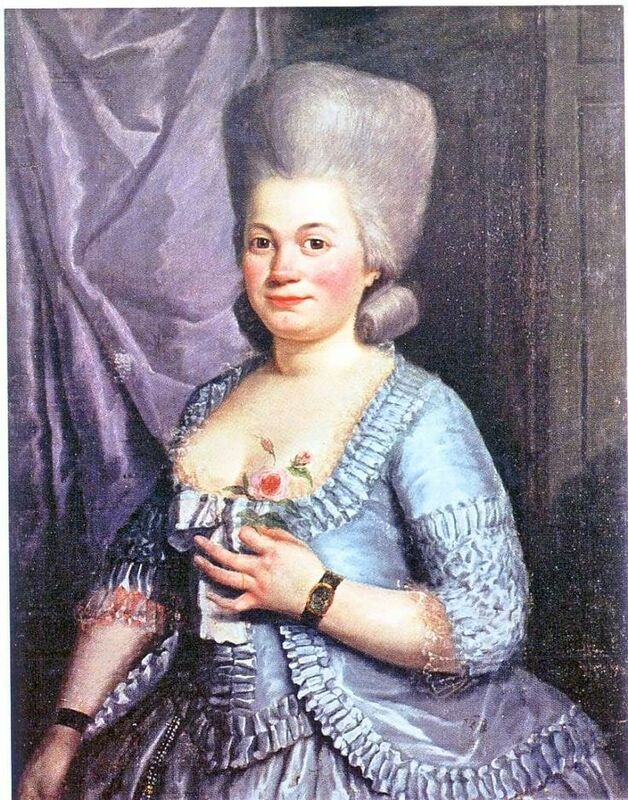 Born on 2 July 1747 at Abbeville, Picardy, Rose moved to Paris to try her luck. She was apprenticed to a milliner, Mademoiselle Pagelle, and was so good at her job that later she became her business partner. She dressed, and cultivated good relations, with some of the most influential women at the French court, like the Princess de Conti, the Duchesse de Chartres, and the Princesse de Lamballe. When, in 1770, Rose opened her own shop, Le Grand Mogol, on the Rue Saint-Honoré, they, and many other ladies at Versailles, followed her and became faithful clients. But her real big break came two years later, when the Princesse de Lamballe introduced her to the dauphine, Marie Antoinette. The young woman loved Bertin's work. 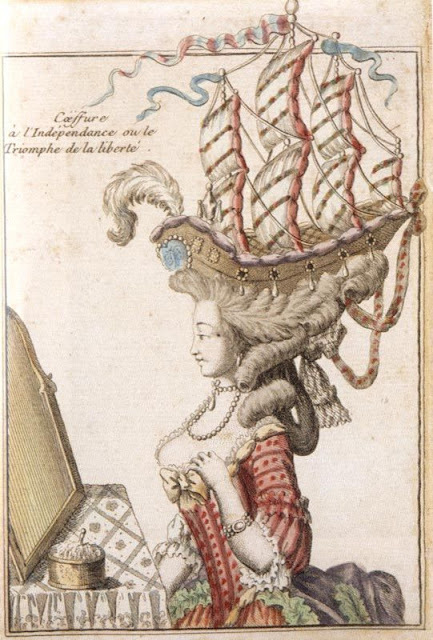 After Louis XVI's coronation, Marie Antoinette and Bertin met twice a week to discuss the dressmaker's new creations. While talking about dresses and poufs, the two women became friends, and the Queen started confiding in her milliner. Together, they also launched many fashions. 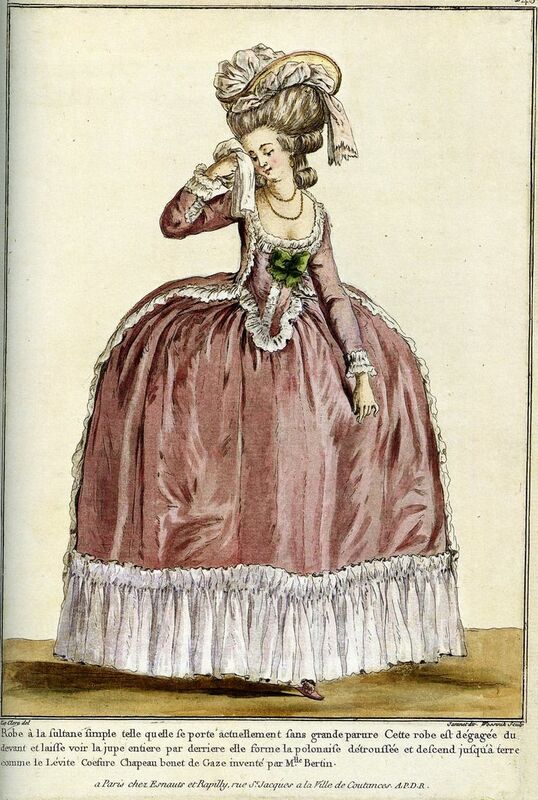 At the time, women wore "pouf", raised hardos made possible by pads and pomades. For the Queen, Bertin went one step further (or better, three feet higher). Not only were poufs now insanely high, they were also decorated with all kinds of objects to showcase current events. The pouf a la circonstance commemorated the change of reign, the pouf aux insurgents was in honor of the American Revolutionary War, and a French naval vessel represented the Queen's support for the America in the war for their independence (France was helping them). But the most famous was probably the pouf a l'inoculation, which celebrated the Kings' vaccination, which took place in June 1774. "It represented a rising sun, and an olive-tree laden with fruit, round which a serpent was twisted, holding a flower-wreathed club. The classical serpent of Esculapius represented medicine, and the club was the force which could overcome disease. The rising sun was the young King himself, great-grandson of the Roi-Soleil, to whom all eyes were turned. The olive-tree was the symbol of peace, and also of the tender affection with which all were penetrated at the news of the happy success of the operation which the King and the Royal Family had undergone." Her hairdos were outrageous, but so were her dresses. They were so wide women had troubles passing through doors. Bertin had such an influence on the Queen's wardrobe, and as a result, on French fashion, to gain the nickname "Minister of Fashion". Her name became synonymous with sartorial elegance, not only in France, but all over Europe. Her dresses were commissioned from all corners of the continent, including London, Vienna, Venice, Saint Petersburg, and even Constantinople. Pandores, dolls made of wax over jointed wood armatures or porcelain, were dressed in the latest fashions and sent to foreign courts and noblewomen so that they could keep up to date with the latest Parisian styles and commission them. This type of dolls remained popular until the appearance of fashion magazines. Things took a turn for the worse when the Revolution broke out. 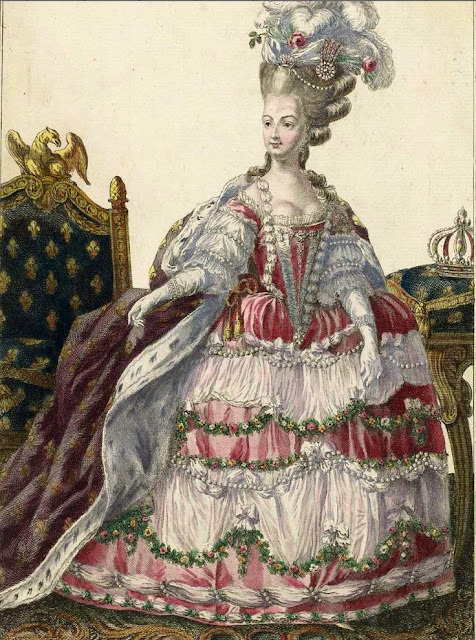 When Marie Antoinette was imprisoned she couldn't afford Bertin's super expensive gowns anymore. But she continued to commission small orders, usually of ribbons and simple alterations, to her dressmaker. Bertin's also provided the mourning outfit the Queen wore after the execution of her husband, Louis XVI. As the Revolution turned more and more violent, many of her customers, included the Queen, were executed. A lot of dressmakers were forced to close their shops. Not Bertin. She moved her business to London, were she sold clothes to the émigrés. Once the Revolution was over Rose returned to Paris. Among her new customers was Joséphine de Beauharnais, the future French empresses. But the Revolution had changed things forever. Fashion, during the ancient regime, had been excessive and outrageous. Now people favoured simpler styles. As the century came to an end, she transferred her business to her nephews and retired. 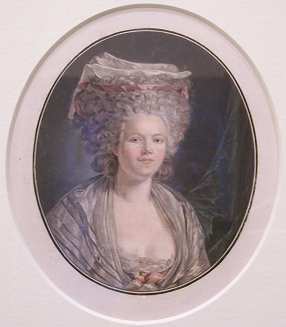 She died in 1813 in Épinay-sur-Seine.